"Formerly they saw us as gods, nowadays they see us as nothing," Cuban doctor Yulia Molina Hernández told the BBC, who arrived in Brazil five years ago as part of the international program "Mais Medicos" and decided to stay in the South American country. after the Cuban government returned its professionals to the island. Several doctors gave their testimony to the aforementioned media. They all share the same feeling of frustration after the government of Jair Bolsonaro failed to fulfill his promise to offer them work in Brazil after passing the revalidation exam. Joan Rodríguez, another of the doctors interviewed by the aforementioned newspaper, said: "We were doctors, yes, but today we are nothing at the moment, we are like anyone, needing work to be able to survive". He also assured that in Brazil "when they realize that we are Cubans and that we were members of the Más Médicos program, all the work doors are closed to us". However, many think that the decision not to return to Cuba, in any case, is worth it. "Really liberate myself or break with Cuba - I am of the opinion that I am not a defector because I was never interested in being a military man and I never was - it is something I had been thinking for a long time," said Surizaday Fernández. "You get tired of being exploited, in the end you lose years of life, you lose time to be with your family, you lose a lot of things, I had the decision," he says. 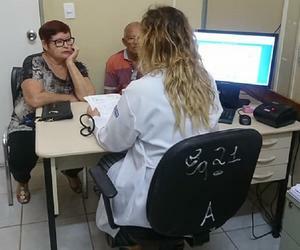 Last November, the Cuban government decided to withdraw its staff from the "Mais Medicos" program, after Jair Bolsonaro said that they could only continue if the Cuban government paid them the salary, since they kept the highest percentage of this. He also asked that they be allowed to take their family members during the time of the mission and that they pass a revalidation examination of the title. Cuba's response was to withdraw them, without reaching an agreement and Bolsonaro offered to stay. Since then, almost 2,000 doctors are in total limbo, because they remain in Brazil without being able to practice their profession and they do not find work either. To read the full testimony of Cuban doctors, follow the link below.